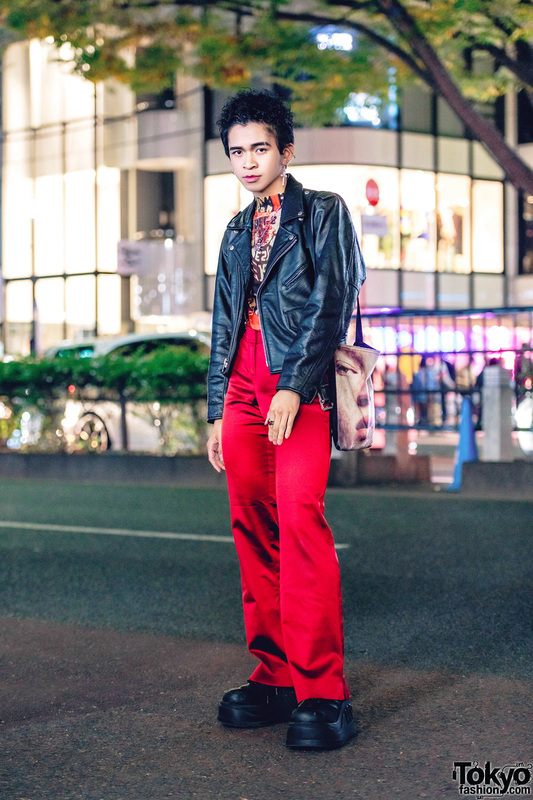 Harajuku guy wearing a black leather jacket, red pants, and black platform shoes. 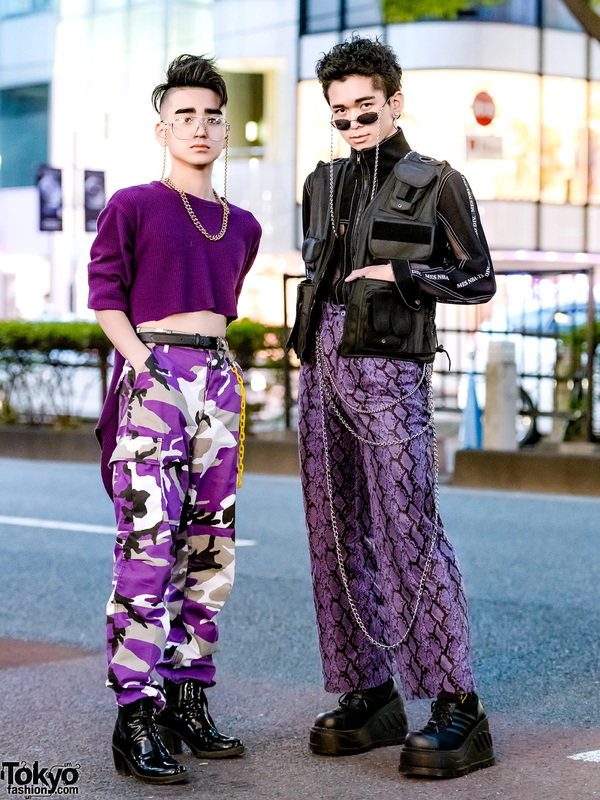 Harajuku guys showcasing purple and black streetwear styles while out and about on the street. Japanese student showcasing vintage streetwear while out and about in Harajuku. Harajuku guy in belted vintage kimono with striped pants, Demonia platform shoes, a faux fur stole, and painted Miu Miu purse. 15-year-old students showcasing dark vintage streetwear. Harajuku Street Style w/ Algonquins, WEGO, Yosuke, MPQ, Romantic Standard & G2? Harajuku guy in black streetwear fashion with varsity jacket over printed shirt, track pants, platform creepers and a printed tote bag. Harajuku girl in matching jacket, skirt and hat with randoseru and sneakers vs. Harajuku girl in oversized jacket and shorts, with creepers and junk food print backpack.